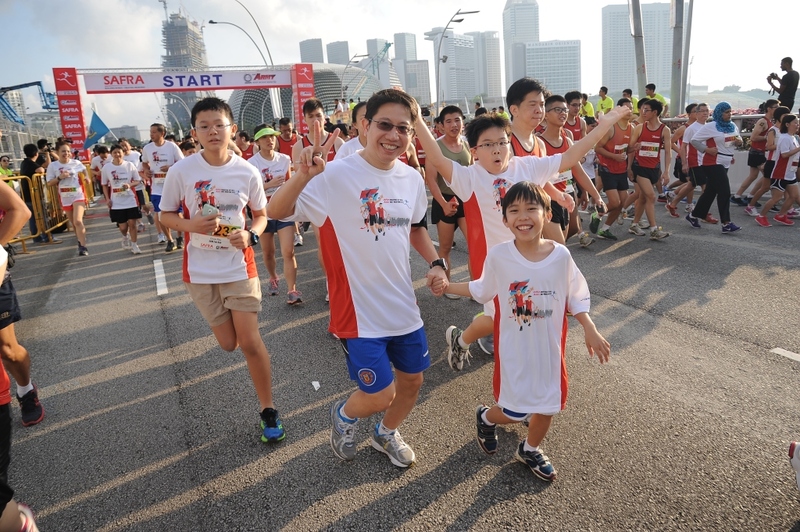 Over 45,000 runners go for AHM 2014, new record for 'Father and Child Challenge' | JustRunLah! 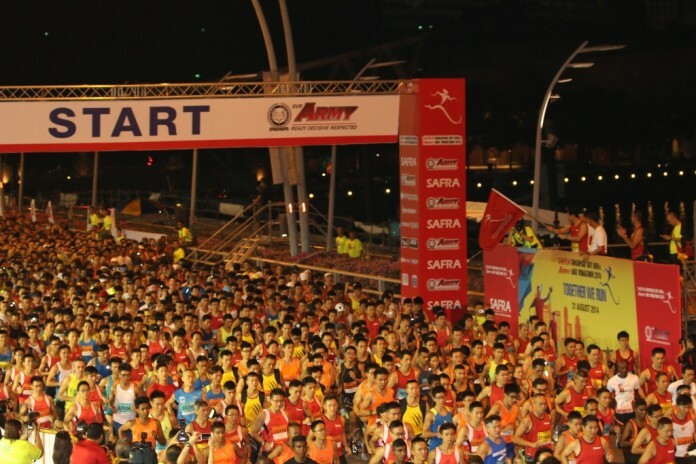 About 46,000 runners geared up this morning to pace down the Marina Bay skyline for the SAFRA Singapore Bay Run & Army Half Marathon (SSBR & AHM) 2014. Second Minister for Defence and President of SAFRA, Mr Chan Chun Sing graced the event as Guest-of-Honour and flagged off the SAFRA 5km Fun Run as well as the Families for Life 800m Father and Child Challenge. Jointly organised by SAFRA and the Army to promote bonding and fitness as a lifestyle among Singapore Armed Forces (SAF) national servicemen and their families, the event continued to garner strong support of more than 35,000 SAF regulars and national servicemen, and more than 3,500 of their immediate family members. This year’s event also saw more SAF regulars and national servicemen challenging their endurance by running longer distances. Among the 21,800 runners who competed in the 21km AHM, 84 percent of the participants were SAF regulars and national servicemen. This marks an increase of 8 percent in their participation or about 1,600 runners more than 2013. Apart from advocating a healthy lifestyle, the event aimed at promoting family bonding through a specially-themed SAFRA 5km Fun Run and the Families for Life 800m Father and Child Challenge. The latter is part of SAFRA’s ongoing partnership with the National Family Council and it received strong support from NSmen and their families with a record number of participants. Record-breaking attempt of the Largest Gathering of People Wearing Masks with 1191 participants who qualified. This year also marks 5th time retired Army Officer Ang Ah Kiang, who has ran every edition of the Army Half Marathon, is running with his son, Ang Kwan Yang. Since it started in 1992, the SSBR & AHM has received strong and consistent support from NSmen taking part in the race both individually and/or with their units, and family members. The Families for Life 800m Father and Child Challenge is one of the activities under SAFRA’s partnership with Families for Life (FFL). Through this partnership, SAFRA and FFL aim to organise activities for NSmen and their families to interact and spend quality family time together and build strong family ties. 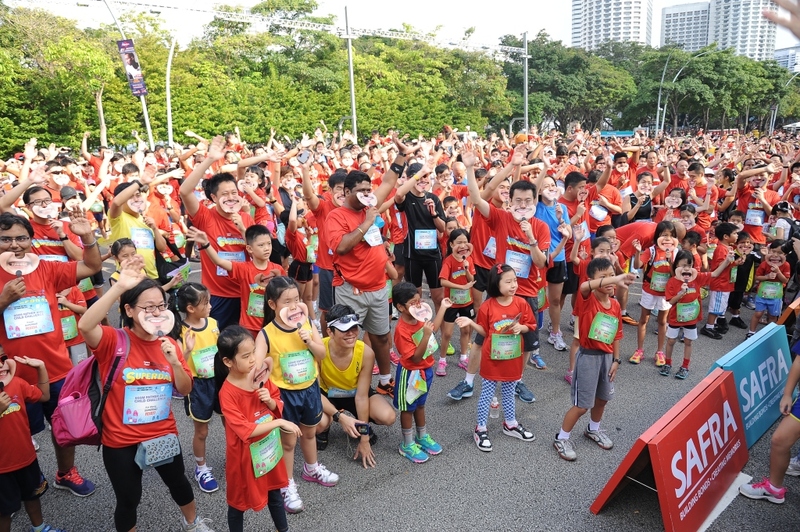 As part of the effort to encourage family-centric activities, two new records were set in the Singapore Book of Records for the “Largest gathering of people to wear masks” and the “Largest Father and Child Race”. Handheld masks were distributed during the warm up formation and each father-and-child pair ran hand-in-hand throughout the race. The “Largest Father and Child Race” had a total of 737 pairs qualified for the new record at this year’s challenge, surpassing the previous record of 671 pairs in 2013. The “largest gathering of people to wear masks” saw 1,191 people set the Singapore record. 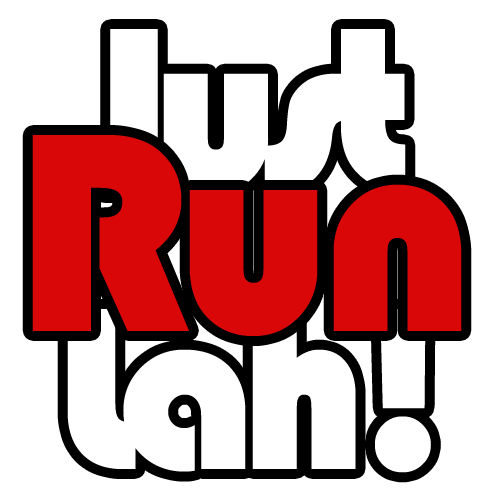 You can rate your running experience and see race collateral and key information Singapore Race Database.